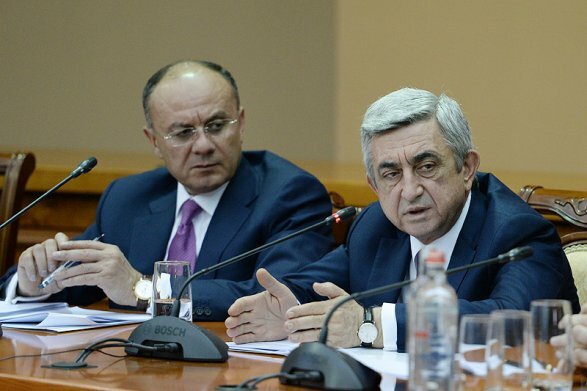 Armenia and Azerbaijan did not let listen to the appeals of the Party of Justice and Development in Turkey, provoking a war, it is better to sit at the negotiating table. This statement was made by the leader of the Kurdish Democratic Party of Peoples Sellahattin Demirtaş. „War does not give any benefit or the peoples of these countries or Turkey. We call on the authorities of Armenia and Azerbaijan to ignore the provocations AKP, sit down at the negotiating table, solve the issue through dialogue. 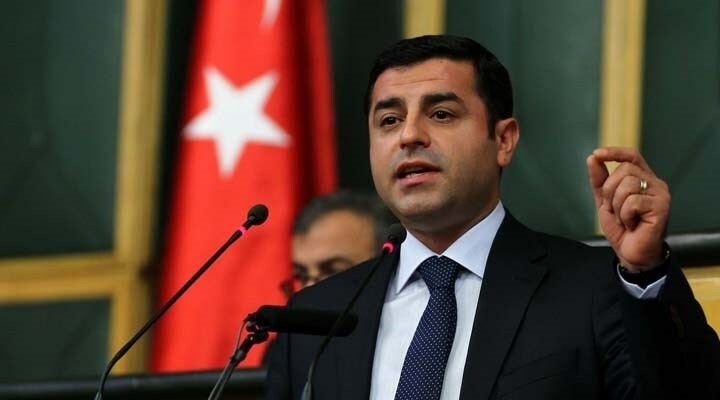 From the very beginning of Erdogan and Davutoglu made statements that incite war „- Demirtaş said. У лидеров России, Азербайджана и Украины разные взляды на политику. Но, видимо, не на распоряжение финансами. Карикатурист Сергей Елкин о некоторых „героях“ офшорного скандала. ВС Азербайджана в ходе операции с вечера 4 апреля по утро 5 апреля уничтожили до 70 человек живой силы и до 20 единиц военной техники, говорится в сообщении Минобороны Азербайджана. В последние два дня потери азербайджанской армии составили 16 человек. Точечными ударами уничтожен штаб военной базы в Мадагизе, расположенный на основной дороге, ведущей в Агдере. Кроме того, точечными ударами уничтожены три вражеских танка вместе с экипажем. В направлении Ходжавенд-Физули уничтожены два вражеских танка и пять единиц колесной техники. Details about these and other transactions are buried in the Panama Papers, an internal database maintained by Mossack Fonseca, a Panamanian legal firm providing offshore tax havens for clients who want to hide their identities and/or holdings. One of the biggest leaks in journalistic history reveals the secretive offshore companies used to hide wealth, evade taxes and commit fraud by the world’s dictators, business tycoons and criminals. One of those partners is Novaya Gazeta, which has dug into the details of the Krapivin’s offshore empire. Aleksey Krapivin is the son of Andrei Krapivin, who was reported to have died in 2015, although his death has never been officially confirmed. According to the documents, Aleksey Krapivin controls the largest contractor on the Baikal-Amur Mainline (BAM), the biggest, most expensive construction project in the Russian Railways system. The 2,671-mile (4,300 km) BAM runs north of (and parallel to) the Trans-Siberian Railway. Companies affiliated with Aleksey Krapivin are also involved in suspicious transactions with a major Russian Railways partner, Bombardier Transportation, a global giant in the field of transport. The Krapivin family has played a major role in Russian Railways since 2005, when Yakunin known as family friend took over the top railway job. But the scale of Krapivin’s involvement in public procurement has gradually become more clear since 2010. The elder Krapivin was not a public person. He did not respond to media inquiries, he didn’t attend high-profile social events, and virtually no photos are available in the public domain. When he applied for Russian Railways tenders, he did so through shell companies, and he owned assets in Russia through offshore companies. His son Aleksey has long played a key role in the Krapivin business empire. Documents in the Mossack Fonseca trove reveal a part of the Krapivin family’s hidden offshore empire. While they don’t reveal the true extent of the network, they show what kinds of deals Yakunin’s friends made as they built their fortune. In 2014, Reuters received data about bank accounts for a large number of companies that between 2007 and 2010 won public contracts worth billions of dollars from Russian Railways. The Reuters investigation revealed that some of these companies didn’t perform the work they were supposed to; some of the money was funneled offshore; some was deposited in banks, and only some went to actual companies that performed the work for Russian Railways. The data that Reuters received came from Russian banker German Gorbuntsov, who fled Russia after a conflict with his business partners. He claimed that all of the companies were controlled by one group of people, which was headed by Andrei Krapivin. Gorbuntsov was later shot in London in a complex affair that involved Moldovan crime groups, Russian politicians and the Russian Railways. The Reuters investigation showed that most of the companies that won Russian Railways tenders for millions of rubles couldn’t be found at their legal addresses, while the true owners hid behind dummy directors that had no clue about the companies. One of the fake founders confirmed that the actual owner of the companies was Andrei Krapivin. Also in 2014, the Russian web portal Slon.ru analyzed all the tenders from the Russian Railways website in 2012 and 2013, and calculated that in just those two years, the companies controlled by Krapivin and his partners could have received as much as 120 billion rubles (nearly US$ 3.7 billion) from the state. The Mossack Fonseca documents connect Aleksey Krapivin to at least 11 companies in Panama, the British Virgin Islands and the US state of Delaware, all jurisdictions popular with those seeking to evade taxes or hide their wealth. It isn’t clear what all of the companies do, for example those registered in the US. But others conduct commercial activity with some of the world’s largest and best-known corporations. The Canadian company Bombardier Transportation is a major global producer of trains and airplanes that is traded on the Toronto Stock Exchange. As with many global corporations, it is proud of its high ethical standards. The company didn’t just sign the UN Global Compact that demands the world’s corporations fight corruption while respecting the environment and human rights, its ethical code also applies to suppliers. In theory, only companies that share Bombardier’s values can be its partners. But the values of Bombardier, like those of many other multinationals, are put to a difficult test in Russia. The Mossack Fonseca data indicates Russian Railways and Bombardier’s joint venture was involved in questionable deals with offshores affiliated with Aleksey Krapivin. Bombardier Transportation is a corporation that supplies a microprocessor interlocking system for railway switches and signals called the Ebilock-950. The company came to Russia in the mid 90s. By that time, Russia’s computing sector was lagging behind the rest of the world, and domestic developments in the field of automation systems were far behind foreign competitors. The Ministry of Railways was looking for a partner that would supply microprocessors and also invest in Russian production of automatic traffic control systems. This partner ended up being Bombardier. In 1996, together with Russian Railways, Bombardier created a joint venture Bombardier Transportation (Signal) Ltd. On Bombardier’s side, the founder was the Swedish subsidiary of Bombardier, which is named as the main producer of Ebilock-950 systems. Over the past 15 years, the joint Russo-Swedish company installed Ebilock-950 systems in Russian railway stations with additional contracts in many former Soviet nations. The production of Ebilock units is gradually being transferred to Russia. In 2010, the joint company bought a 50 percent (minus one share) stake in Elteza, which owns five factories that produce railway automation equipment. But some of the equipment is still being imported. And for some reason, the trail of equipment being imported from Sweden into Russia passes through the British Virgin Islands and the United Kingdom. The Mossack Fonseca data contains documents connected to a Krapivin company called Rambo Management Inc., including an interesting contract between Rambo and a British company, Multiserv Overseas Ltd.
Rambo Management sold Ebilock-950 equipment, produced by Bombardier Transportation, to Multiserv, which in turn was supposed to deliver the equipment to 13 railway stations in Azerbaijan connecting Baku with the Georgian border. When the Azerbaijani government held a 2013 tender for the delivery of the Ebilock equipment, the winner was consortium of companies led by Bombardier Transportation. But works were also conducted by Russian joint venture. So this means that in essence, the Bombardier Transportation might supply its equipment to Azerbaijan through at least two offshores, Rambo and Multiserv. Multiserv was registered in London in 2010. According to its accounts, it is small company with offshore companies as shareholders, which several times was almost struck off for not providing annual returns. But there is an interesting thing connecting the small British company and Russian Railroads: the first director of the company was Yury Obodovsky, known as one of the key partners of the Krapivin family. The routing of the trade makes no business sense and allows for unnecessary costs to be added or prices to be marked up for no added value. Selling products to yourself or close business partners is a technique often used in many countries to evade taxes, embezzle funds or launder money. Ebilock-950 equipment apparently gets to Russia by a similarly serpentine path. From 2012 to 2014, the Russian branch of Bombardier Transportation (Signal) bought Ebilock-950 microprocessor centralization equipment from Multiserv for tens of millions of dollars. Additional ) money was paid to Multiserv by Bombardier’s affiliate Elteza. OCCRP sought comment from the Russian and Swedish offices of the company but they refused to respond. Most of the other companies registered offshore are used by Aleksey Krapivin as his “wallet”, giving loans to various offshore companies, including funds to make purchases in Russia. The loans are not commercial, the interest rates are low, the borrower does not have a monthly sum to pay, the conditions for the loans are constantly changing, and the interest rates sometimes actually drop. Similar activity can be seen in offshore companies affiliated with Sergey Roldugin, aclose friend of President Putin. Mossack Fonseca documents demonstrate that between 2012 and 2015, more than 200 million dollars passed through companies controlled by the Krapivin family. And some of the loans are quite interesting. In May 2014, the Krapivin company Gordox Corp. loaned US$ 100.5 million to Evling Business Inc., registered in BVI, for the purchase of Sterema Ltd. At the same time, Sterema took control of the Russian company Bamstroymekhanizatsia, one of the primary contractors on the Russian Railways’ massive Baikal-Amur Mainline project. In 2013, Putin approved the plan for the reconstruction of the Baikal-Amur Mainline and the Trans-Siberian railway, one of Yakunin’s most grandiose projects. The total cost was to be 562 billion rubles (US$ 17.2 billion). All the funds come from the state budget. When tenders were offered in 2014, the largest Russian Railways history was won by a consortium led by the management company Bamstroymekhanizatsia, with most of the work to be performed by a joint-stock company with the same name. The joint stock company has a more than 40-year history. For a long time the company belonged to the founder, Vasily Tarasenko, but right before it took part in the largest Russian Railways tender ever, it changed owners. 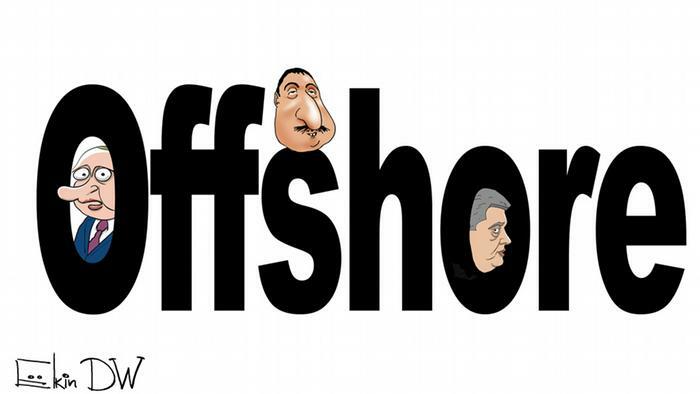 Now the ultimate owner of the largest construction company in Russia that receives millions from the state budget is obscured offshore. The controlling stake is owned by Cyprus-based Sterema Ltd., which in turn belongs to Evling Business Inc., registered in the British Virgin Islands. The ultimate owner isn’t known, but according to the Mossack Fonseca documents, Evling received the money for the purchase of Sterema from Krapivin’s company Gordox. Krapivin is also affiliated with several other companies that control contractors on this project. In reality, Krapivin’s role in the BAM construction could be even larger. Two other companies are also contractors (Energomontazh and Transstroymontazh), and they are owned by companies from Cyprus. At various times Krapivin was co-owner of almost every one of them. But then their ownership was transferred to more closed jurisdictions — British Virgin Islands, Belize or Panama. The Mossack Fonseca documents don’t show the ultimate owners of these companies. Reporters repeatedly sought comment from Krapivin, but his representatives declined to make him available. One morning in mid-2014, before the summer sun had reached its peak, two elderly men in Aleppo, Syria, sat on plastic chairs, chatting quietly and drinking black coffee. From his perch outside his food stall, Sabri Wahid Asfur and his friend Abu Yassin watched their neighbors go about their day. Suddenly, bombs hit the ground, scattering bricks and debris. Seconds later, they exploded, sending thousands of pieces of shrapnel — nails, rebar — in all directions. The crudely made barrel bombs had been designed for maximum human damage. As the smoke lifted, Asfur reached for Abu Yassin. 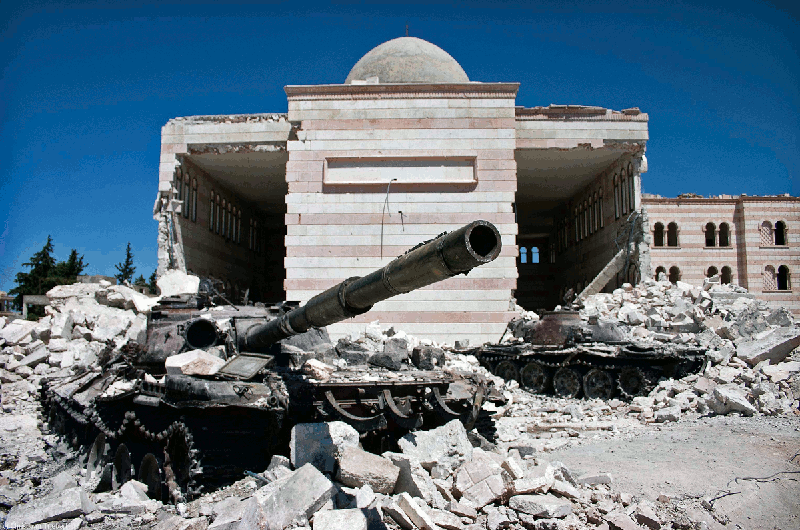 Destroyed tanks in Azaz, Syria. The attack was one of hundreds of aerial bombings that Syrian President Bashar al-Assad’s regime has carried out during the country’s six-year civil war, killing thousands of its people. The deadly air campaign would not have been possible, U.S. authorities have charged, without a network of companies that dodged international embargoes by supplying the oil and gas that kept the military aircraft in sky. Three of the companies that the U.S. alleges helped supply the fuel were customers of a global law firm, Mossack Fonseca & Co., which helped the companies incorporate and maintain offshore branches in Seychelles, a tax haven in the Indian Ocean. The law firm continued doing work for at least one of these closely-linked companies after the three of them were blacklisted by the American government for supporting Syria’s war machine – joining dozens of other Mossack Fonseca customers sanctioned by the U.S. Treasury Department’s Office of Foreign Assets Control (OFAC). Mossack Fonseca, which is based in Panama but has offices around the world, has worked with at least 33 individuals or companies that have landed on the Treasury Department’s OFAC list, according to an analysis of the firm’s internal files by the International Consortium of Investigative Journalists, the German newspaper Süddeutsche Zeitung and other media partners. In some cases, individuals and companies had ceased to work with Mossack Fonseca before being sanctioned. In other cases, the entities were active customers when the sanctions were put in place. The reporting partners reviewed more than 11 million documents — emails, client accounts and financial records — that show the inner workings of Mossack Fonseca from 1977 to December 2015. For years, the records show, Mossack Fonseca has earned money creating shell companies that have been used by suspected financiers of terrorists and war criminals in the Middle East; drug kings and queens from Mexico, Guatemala andEastern Europe; nuclear weapons proliferators in Iran and North Korea, and arms dealers in southern Africa. The time it takes to resign varies by jurisdiction, the spokesman said, and some authorities require the agent to remain in place to prevent interference with an investigation. The spokesman added that Mossack Fonseca has “never knowingly allowed the use of our companies by individuals having any relationship with North Korea, Zimbabwe, Syria and other countries” that have been listed as sanctioned. If it did discover it had unknowingly represented a company that was being used for unlawful purposes, he said, the law firm would take “any measures that are reasonably available to us” to deal with the issue. 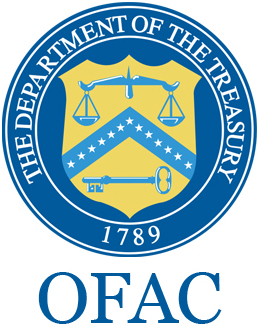 OFAC, the U.S. Treasury Department’s blacklist enforcement unit, announced a series of sanctions in 2014 barring U.S. citizens from dealing with individuals and companies suspected of supporting the Syrian regime. One of the companies was Pangates International Corporation Limited, a petroleum products specialist headquartered in the United Arab Emirates that had been a Mossack Fonseca customer for more than a decade. OFAC put Pangates on its blacklist in July 2014, charging that Pangates had supplied the Syrian government with 1,000 metric tons of “avgas” — aviation fuel necessary to operate military aircraft. “Certainly any armed Syrian Air Force aircraft will be using avgas,” said Jane’s Defence Weekly Europe Editor Nick de Larrinaga. Pangates is part of the Abdulkarim Group, a sizeable Syrian company with offices in Damascus. OFAC also sanctioned two other Mossack Fonseca clients with alleged ties to the Abdulkarim Group or its directors — Maxima Middle East Trading Co. and Morgan Additives Manufacturing Co. In addition, it sanctioned two Syrian citizens linked to the companies. In June 2014, Pangates, Maxima and the Abdulkarim Group worked with a Russian oil and gas firm to obtain oil destined for Syrian government-controlled refineries,according to OFAC. Barqawi resigned as the company’s manager before the OFAC listing and Wael Abdulkarim resigned when the sanctions were announced, the representative said. Morgan Additives is not currently owned or controlled by Wael Abdulkarim, the representative added. None of the other companies or individuals sanctioned in connection with the Syrian air war responded to repeated requests for comments via email, registered mail and telephone. In a previous comment to media, Pangates acknowledged delivering oil to Syria but claimed not to know about its ultimate destination or purpose. The secret files show Pangates’ relationship with Mossack Fonseca began in 1999, when the law firm incorporated Pangates in Niue, the Pacific island nation where Mossack Fonseca once had exclusive rights to incorporate offshore companies. When authorities in Niue shut down the island’s offshore registration industry in the wake of complaints about money laundering, Pangates moved to Samoa and, in 2012, to Seychelles. At one point, the company valued itself at $7.5 million. Nine months after the U.S. first sanctioned Pangates, Mossack Fonseca was still handling the company’s paperwork, certifying that it was a Seychelles company in good standing. Later still, Mossack Fonseca helped Pangates close its Seychelles business and sent it a bill for $1,100 to cover its fee for that service. It asked Pangates to pay online or through Mossack Fonseca’s bank account in New York. It was not until August 2015 — more than a year after sanctions against Pangates had been announced — that Mossack Fonseca acknowledged the blacklisting and scrambled to find ownership details, utility bills or any other identifying information from the Dubai administrators of Pangates and Maxima Middle East. Mossack Fonseca finally reported that the companies were on international sanctions lists to Seychelles regulators in August 2015. The files show that Mossack Fonseca also worked with Rami Makhlouf, a cousin of Syria’s dictator, Assad. As early as 2008, U.S. Treasury officials had flagged Makhloufas a “regime insider” who “improperly benefits from and aids the public corruption of Syrian regime officials.” Treasury froze Makhlouf’s U.S. assets and banned U.S. companies or people working with him. Later that year, in a widely reported announcement, the U.S. Treasury Department blacklisted some of his companies. Although he had long been a customer of Mossack Fonseca, the firm’s emails at the time record no mention of the sanctions. That changed in 2010, when British Virgin Island authorities demanded information on Drex Technologies S.A., a company owned by Makhlouf that Mossack Fonseca had incorporated ten years earlier. Mossack Fonseca employees looked for — and quickly found — information that had circulated widely for years, including details of Makhlouf’s political ties and alleged smuggling. At this point, the files reveal, Mossack Fonseca’s head of compliance wanted to drop Makhlouf immediately. But one of Mossack Fonseca’s partners resisted, hoping the firm would not lose the business. However, he ultimately agreed with dropping the firm after further urging from his colleagues and mounting official investigations into Makhlouf’s business empire. Zollinger recently told Süddeutsche Zeitung: “In retrospect my comment in the e-mail was wrong, which I regret.” He added that, as registered agent, Mossack Fonseca had “no influence on the transactions or the business of the company” linked to Makhlouf. Makhlouf did not respond to requests for comment. Mossack Fonseca took a more aggressive attitude toward Petropars Limited, a company controlled by the Iranian government that was sanctioned by the U.S. Treasury in June 2010. The relationship between Petropars and Mossack Fonseca began in 1998, nearly 20 years after the Iranian revolution, when Mossack Fonseca incorporated Petropars in the British Virgin Islands. Petropars was known to watchers of Iranian politics as an intermediary between foreign companies and Iran’s oil ministry. With offices in Dubai and London, it was also a player in the development of Iran’s multibillion-dollar South Pars natural gas field. Three years before Mossack Fonseca began work for Petropars, President Bill Clinton, citing Iranian support for terrorism and its quest for weapons of mass destruction,banned U.S. involvement with Iranian oil. Not bound by the U.S. prohibition, Mossack Fonseca helped Petropars to issue shares in a Tehran-based oil investment company in 1998. Petropars’ links to the Iranian government were highlighted as early as 2001 when Iranian authorities investigated and then charged board members of the company in connection with “irregularities” in lucrative gas contracts. By 2002, the news had made headlines in The Economist and The New York Times. Petropars remained a customer of Mossack Fonseca until 2010, when Jurgen Mossack, one of the firm’s founders, learned that his company’s British Virgin Islands post office box had been listed as Petropars’ address in OFAC’s blacklist entry for the company. After an internet search, a company employee in the BVI office, Marcia DaCosta, recommended that the firm cut Petropars loose. The firm’s founders — Mossack and Ramón Fonseca — agreed. The firm resigned as registered agent of Petropars in October 2010. Mossack blamed the London office, which had processed Petropars’ paperwork and should have conducted what the financial industry calls “due diligence” — checking on customers’ identity and making sure they’re not involved in questionable activities. “It would appear Mossack Fonseca UK are not doing their Due Diligence thoroughly (or maybe none at all),” Mossack said. Early this year, as a result of the deal that lifted economic sanctions against Iran in exchange for that country’s disabling key parts of its nuclear program, the United States removed Petropars and other Iranian-controlled oil companies from the OFAC blacklist. The files show that despite repeatedly admitting internally that its existing checks and balances had failed, Mossack Fonseca did not introduce a comprehensive policy to comply with OFAC sanctions rules until July 2015. “It’s like the accountant of Al Capone ­— a firm that clearly has chosen to service rogue regimes,” said Emanuele Ottolenghi, senior fellow with the Foundation for the Defense of Democracies in Washington, D.C., commenting not on Mossack Fonseca, which was not named at the time of the conversation, but on a description of its practices. An OFAC spokeswoman declined to comment for this story, saying it is OFAC’s policy to not talk about current or future investigations. In 2012 — years after Mossack Fonseca’s first brushes with sanctioned companies — the firm audited its London office. The final report concluded the U.K. office had “no procedure in place” forhandling high-risk politicians, family and associates and “searches using search engines are not being conducted” to screen potential clients. The Dubai office, which represented Pangates and other companies sanctioned for aiding Syria’s air war, was rated “unsatisfactory” on every measure. Basic internet searches to check out customers’ backgrounds were not conducted, the audit said. Also in 2009, Mossack Fonseca ended its relationship with Zimbabwean businessman John Bredenkamp. Bredenkamp did not respond to requests for comment, but he has consistently denied allegations concerning him and his companies and has denied having supported President Mugabe. In 2012, Bredenkamp successfully overturned European Union sanctions against him and his companies. The files also show that in April 2011, Mossack Fonseca learned that OFAC had accused financiers of Hezbollah — a Middle East terrorist group that has used child soldiers and fired rockets into populated towns — of using a Mossack Fonseca shell company. The company was reportedly part of a “network linked to terrorism,” the law firm’s compliance chief, Sandra de Cornejo, wrote. It had taken Mossack Fonseca months to notice OFAC’s listing. It cut ties with the company, Ovlas Trading S.A., in May 2011. Lawyers representing Ovlas Trading said the BVI company was formed for tax-saving reasons as part of a food import and export business. The company has been “mostly dormant,” the lawyers said. “At no time was Ovlas BVI involved in any money laundering, terrorist financing, narcotics, or other illicit activity,” the company’s lawyers said. A major international accounting firm conducted a forensic investigation into Ovlas’ business, the lawyers said, and found “no evidence” of any activity described by the U.S. Treasury Department. The company’s owner has “publicly stated that he has not been and is not a supporter of Hezbollah,“ and efforts to have the sanctions lifted are ongoing. Mossack Fonseca did have guidelines for sanctions before 2015, including a risk matrix that included pariah states and countries under embargo as well as a “Mossfon Black List” of countries that required special attention. In a 2015 memo, citing “recent changes in our organization” and “regulatory matters,” Mossack Fonseca announced it would drop 35 potentially risky companies “as soon as possible.” They included businesses purportedly dealing in oil in Belarus and Russia, mobile phones, juice, tomato paste and cheese in the Middle East, investment companies in Uganda and Guinea, shipping in West Africa and real estate in Lebanon and Zimbabwe. Mossack Fonseca would not act as the agent for any companies with activities in countries on the OFAC list, such as Sudan and South Sudan, and would be more cautious in other countries subject to limited sanctions, the memo said. Several offshore experts said that sanctions enforcers in the U.S. and elsewhere haven’t paid enough attention to offshore middlemen like Mossack Fonseca, despite their key role in creating the companies that enable wrongdoing. This is partly because of limited resources available to pursue cases, experts say, according to Daniel Reeves, former lead investigator for the Internal Revenue Service’s offshore compliance initiatives. But things can change, Reeves said. “There was a time when people wouldn’t go after banks, they wanted to go after their customers,” he noted. Since then, investigations targeting banks such as HSBC and UBS produced historic fines punishing them for their work on behalf of criminals, sanctions-busters and tax evaders. “So maybe the next step is corporate service providers,” he said. Frederik Obermaier contributed to this story. Additional reporting by Rozana FM, a Syrian radio station in exile with 70 in-country citizen journalists. After a long simmer, the Nagorno-Karabakh war has once again boiled over. And turning off the heat at this point may not be so easy. Three days of fighting have left dozens dead and dozens more wounded. It marks the bloodiest combat between Armenian and Azerbaijani forces since the signing of a ceasefire agreement in 1994. International mediators for the OSCE Minsk Group – which is led by the United States, France and Russia, and is responsible for trying to broker a lasting Karabakh peace settlement – were scheduled to convene April 5 in Vienna to discuss responses to the renewed fighting. 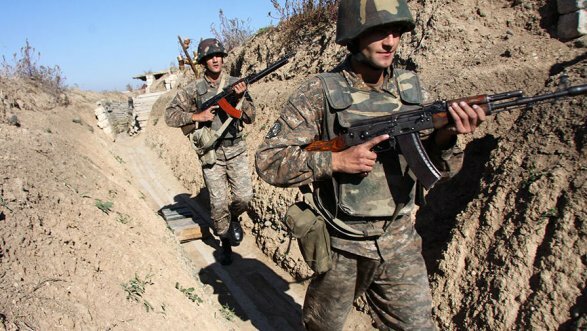 The situation all along the so-called contact line, the boundary separating Armenian and Azerbaijani forces since 1994, remains fluid, with details concerning casualties and territories changing hands impossible to independently verify. 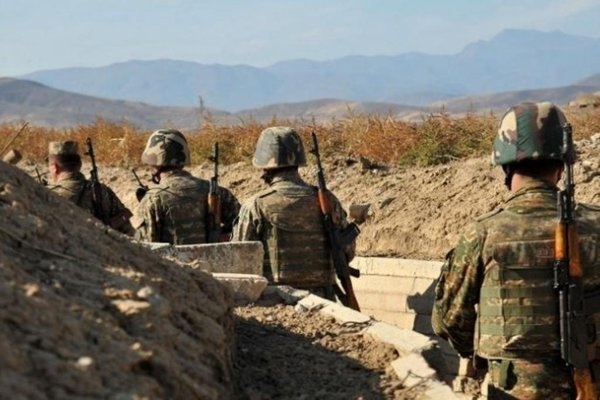 In the early evening of April 4, Azerbaijan’s Defense Ministry claimed their forces had “neutralized up to 170 Armenian servicemen and 12 armored vehicles” in combat throughout the day. According to Armenian official sources, the three days of fighting have left 20 Armenian soldiers killed in action, 76 wounded and 26 missing. There are also numerous reports of civilian casualties, including an alleged massacre of several elderly Armenian residents of the border town of Talish. In addition, a funeral was held April 4 in the village of Her-Her for 12-year-old Vaghinak Grigoryan, who died while reportedly heading to school. The explosion of violence on April 2 followed a prolonged period of escalating tension along the frontlines, including frequent firefights and occasional casualties. For the past several years, experts have warned about the rising chances of renewed warfare. 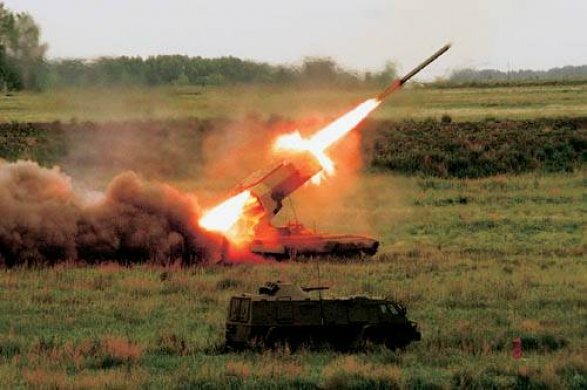 Azerbaijan’s Defense Ministry stated all of the country’s positions along the frontline had experienced heavy shelling over the weekend. The tensest areas were Aghdere, Tartar, Aghdam, Khojavend, and Fuzuli, according to military officials. Thousands of Azerbaijani citizens living near the contact line have been evacuated to towns farther away. One evacuee was 36-year-old Ulviyya Aliyeva, who was at home in the village of Azad Karakoyunlu in Tartar District when the fighting erupted. When the fighting started, several families gathered in a house that they believed to be out of the line of fire. But Aliyeva reported being wounded by an explosion that shattered windows and sent shards of glass flying about the room in which she was sheltering. “We would have all been blown up if the bomb fell a meter closer. Shrapnel made holes in the walls. The ceiling is shattered as well,” Aliyeva told EurasiaNet.org on April 4. Male villagers have remained in the town to help with defense efforts. Women and children have been removed from Azad Karakoyunlu, she said. “We are now in the neighboring village, but you can still hear the sound of shooting from here,” she added. The fighting erupted while both Azerbaijani President Ilham Aliyev and his Armenian counterpart Serzh Sargsyan were in Washington, DC, attending a March 31-April 1 Nuclear Security Summit. This fact prompted some observers in Baku to suspect Russia of stoking the conflict as a means of reasserting its geopolitical primacy in the region. “Whenever Azerbaijan takes a step towards the West, Russia shows itself. 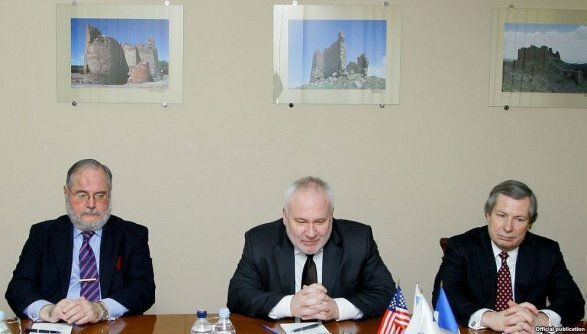 It happened right after the presidents of Armenia and Azerbaijan held meetings with US officials,” political analyst Zardusht Alizade. Stirring up hostilities could be Russian President Vladimir Putin’s way of telling Armenian and Azerbaijani leaders that “I [Putin] am the lord of this region [the South Caucasus],” Alizade added, without providing any facts that could substantiate claims of Russian meddling. Russian media outlets have kept up a steady stream of alarmist reports about the conflict, most of it, arguably, targeting Azerbaijan and its close ally, Turkey, now a bitter foe of Moscow. The Russian government-linked LifeNews went so far on April 4 as to claim that “around 60” Azerbaijani terrorists affiliated with Islamic State were returning home from Syria to take part in the conflict against Armenian and Karabakhi forces. For Azerbaijani MP Ali Ahmadov, deputy chairperson and executive secretary of the ruling New Azerbaijan Party, such coverage means that Russia is taking sides in the conflict. 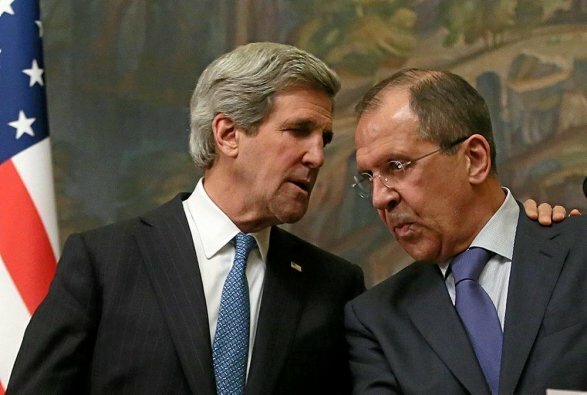 “Russia is one of the co-chairs of the OSCE Minsk Group. The mediator should be neutral. From this point of view, it’s impossible to understand the essence of anti-Azerbaijani propaganda,” he told reporters. Most Armenians consider Russia to be their country’s strategic ally. Nevertheless, some in Yerevan are wary of Moscow’s perceived priorities concerning the Karabakh conflict. Political analyst Aghasi Yenokian, director of Yerevan’s Armenian Center of Political and International Relations, believes that, after leaving Syria, Russia is searching for new tools to assert itself, and the Karabakh conflict provides many opportunities. “Russia, with its active response, shows that if the OSCE Minsk Group works slowly, [and] international structures work slowly, then a serious chance opens up for Russia to resolve [the] Karabakh conflict in a Russian way; that is, by putting Russian peacekeepers on the [ground],” he reasoned. The renewed fighting has caused a surge in patriotic feelings, and the public to unite around President Sargsyan’s administration. 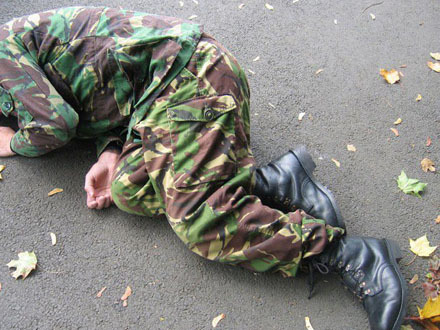 Hundreds, if not thousands, of men across the country have volunteered to go fight in Karabakh. Decked out in combat fatigues and carrying rifles, elderly, white-haired men, often singing patriotic songs, have been boarding buses throughout Armenia to head to the frontline. Lines also have formed at medical institutes, where people are registering to give blood, even though specialists say there is no need at present. Like men filmed by RFE/RL in Yerevan, many of Armenian volunteers gained combat experience when all-out warfare raged between Armenia and Azerbaijan over Karabakh from 1988-1994. Veteran volunteers are tending to organize their own transportation to the front. “This is the case when people do not think of the policy run by oligarchs or the government or the like. They get united for the sake of the motherland, putting aside everything,” she added. In 2014, both sides managed to pull back from the brink after frontline clashes led to the deaths of roughly 20 soldiers on both sides. But the conditions that encouraged restraint two years ago may have changed, according to Elkhan Mehdiyev, the director of Baku’s Peace and Conflict Resolution Center. Marianna Grigoryan is a freelance reporter based in Armenia and editor of MediaLab.am. Durna Safarova is a freelance journalist who covers Azerbaijan. Карабахская тема прочно обосновалась в блоке топ-новостей мировых СМИ, и последние известия с полей боестолкновений свидетельствуют, что на этот раз не так уж и легко будет разрулить военно-политическую обстановку. Как бы ни старались высокие персоны ООН, стран-лидеров продемонстрировать свою обеспокоенность, надо однозначно сказать – господа опоздали, закрыв сарай после того, как оттуда сбежали лошади. А ведь азербайджанская сторона сделала все от нее зависящее, чтобы вовремя предупредить сообщество, его полномочные институты о надвигающейся опасности новой войны в Карабахе. И как это обычно случается, самое нежелательное случилось тогда, когда его не ждали вершители судеб. Для Азербайджана ничего непредвиденного не произошло. В Баку ждали такого поворота событий, ибо за последние годы откровенно провокационная позиция Еревана вела к тому, чтобы окончательно расстрелять мирный процесс, окончательно его похоронить, чтобы снять с повестки вопрос возвращения азербайджанских земель. Тактическая цель Армении удалась – хрупкий мир рухнул. Произошло это с попустительства ООН, Минской группы ОБСЕ и тех сил, которые еще вчера с пеной у рта пели дифирамбы псевдомиротворчеству в исполнении келейных дипломатов, которые только и отличились ничегонеделанием. Но в стратегическом плане Ереван грехов не оберется. И на то есть предпосылки. Небезынтересно знать – как после случившегося спецпредставители тройки смогут убедить Баку в перспективности формата Минской группы ОБСЕ?! Переход к силовым методам выяснения отношений становится следствием провала политических усилий. В разрезе мирного урегулирования кризиса в Карабахе уже несколько лет не наблюдалось никакого продвижения. Внимание к себе привлекало странное, если не сказать сомнительное, хладнокровие, коим посредники от Минской группы расценивали ситуативность, оправдывали армянские провокации на линии противостояния, пытались подвести оправдательную базу под череду мини-войн, которые то и дело вспыхивали. Не могло остаться вне поля внимания Баку и то, как медоточивым заявлениям дипломатов США, России и Франции вторили армянские руководители. Все время из Еревана звучали пафосные отклики о том, что «разумной альтернативы формату Минской группы нет и не может быть». Притом никто конкретно не мог изложить, за какие заслуги и в силу какого актива обожествляется роль посредников, если де-факто контактного процесса нет и политический процесс зашел в тупик. По сути, на глазах у сообщества разыгрывался постыдный фарс с участием заступников армянских военных преступников, которые пустили на самотек сложный процесс, застолбив за собой тепленькое место миротворцев. И как тут не вспомнить хронику политических усилий, инициатив Баку, который несколько раз инициировал обсуждение ситуации на оккупированных территориях на уровне Генассамблеи ООН, Совета Европы, ПАСЕ! По странному стечению обстоятельств те, кто по долгу службы доложен был поддержать Баку, лил воду на мельницу агрессора. Политический лидер Азербайджана Ильхам Алиев не упускал случая, чтобы проинформировать мировые институты о действующем положении вещей на оккупированных территориях страны. В ходе саммитов и важных мероприятий он постоянно напоминал о факторе повышенного армянского риска, который держал в напряжении не только Азербайджан, но и весь регион, имеющий непреходящее коммуникативное значение для судеб мира. На фоне естественной обеспокоенности азербайджанской дипломатии, а она как фактор явного действия всегда присутствовала в международной повестке, официальный Ереван не только продолжал бряцать оружием, но и делал новые экспансионистские заявки, угрожая безопасности Нахчывана, других приграничных регионов восточного соседа. Они же угрожали уничтожением энергетических и транспортных коммуникаций международного значения, которые проходят по территории Азербайджана, выставляя себя в свете бравых разрушителей. Тревожные поползновения и угрозы, как правило, оставались вне поля зрения дипломатов высокого уровня, а то и нарочито игнорировались Минской группой ОБСЕ. Наконец, бездеятельность посредников все время маячила на фоне периодических возникавших обострений на линии соприкосновения. Армянские передовые в последнее время приняли за правило за ночь более ста раз нарушать режим прекращения огня, целясь в мирные селения и угрожая безопасности простых людей. И теперь, когда зарвавшийся агрессор прицельно стал бить по сугубо мирным целям на территории Азербайджана, получил более чем адекватный ответ. Многократные предупреждения Баку трансформировались в давно ожидаемые действия. Это тот самый случай, когда сильная сторона опробовала все варианты, прибегнув, наконец, к единственно допустимому методу усмирения зла. Вести с передовой, статистика потерь сторон показывает, что азербайджанская армия доминирует. Агрессор опять прибегает к всевозможным уловкам, требуя восстановления статус-кво, который был до 2 апреля. То есть армянская сторона вымаливает отход на прежние позиции, чтобы воссоздать приемлемые для себя условия в восстановлении временного мира. Коль скоро во вспыхнувших боях стороны понесли потери, пролилась кровь военнослужащих азербайджанской армии, приемлемы ли такие условия Еревана? Конечно же, нет. Армения с популистским настроем ее политического руководства осознала ошибочность своей стратегии с опозданием. Теперь ей и решать – как договариваться с Азербайджаном, за которым мощная политическая поддержка сообщества, сильная и хорошо вооруженная профессиональная армия, надежная ресурсная база для ведения долгосрочной кампании. Мировая элита между тем продолжает осуждать боевые действия, призывая стороны вернуться за стол переговоров. Спрашивается, что ей мешало прислушаться к призывам Баку, когда он постоянно предупреждал о чреватости армянской политики? Наконец, почему все закрывали глаза на бездействие Минской группы ОБСЕ, когда по ее мониторинговой миссии в зоне конфликта армянские военные открывали прицельный огонь? Армения с ее опасным курсом вызвала огонь на себя. Перечень ее последних преступлений пополнился новыми злодеяниями в отношении азербайджанских граждан и военнослужащих. Тот факт, что азербайджанские органы дознания возбудили по ним уголовные дела, красноречиво свидетельствует об одном – официальный Баку настроен более чем решительно, чтобы положить конец армянским преступлениям на почве мракобесия и человеконенавистничества. Armenian and Azerbaijani sides have reached an agreement on a ceasefire in the conflict zone, „Interfax“ referring to the Defense Ministry. „The ceasefire agreement reached today at 12:00, as there is the negotiation process“, – said in a statement. The Armenian army was ordered to cease fire, RIA Novosti reported with reference to the press service of the Armenian Defense Ministry. Azərbaycan Müdafiə Nazirliyi, Ermənistan-Azərbaycan cəbhə xəttində davam edən qarşıdurmalarda Erməni güclərin əmr qərargahının məhv edildiyini açıqladı. Cəbhə xəttindəki vəziyyətin Azərbaycan ordusunun nəzarəti altında olduğu ifadə edildi. Azərbaycan Müdafiə Nazirliyi həmçinin cəbhə xəttindəki qarşıdurmalarda Erməni silahlı qüvvələrinə bağlı 170 əsgərin öldürüldüyü, çox sayda zirehi vasitənin da məhv edildiyini bildirdi. Dünən gecə və bu gün Erməni qüvvələri Azərbaycan mövqelərini fasiləsiz atəşə tutdu. Bunun üzərinə vətəndaşların can təhlükəsizliyinin təmin edilməsi üçün Azərbaycan ordusu Ağdərə, Tərtər, Ağdam, Xocavənd və Füzuli bölgələrində əməliyyatlara başladı. Goranboy və Naftalan şəhərləri üçün təhlükə meydana gətirən Talış kəndi ətrafındakı təpə və Seysulan məskunlaşma vahidi Erməni güclərindən təmizləndi.